K&N manufacturers many direct replacement elements for small industrial engines, utility lawn and garden units, air compressors, generators, etc. K&N has released two new replacement industrial air filters, part numbers E-4962 and E-4961 for many small engine applications. 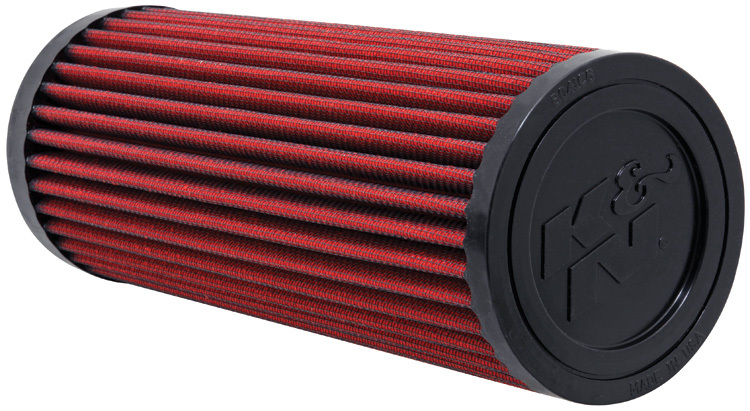 Let K&N add new life to your reliable work engine with our washable and reusable air filters. K&N air filters have less restriction and provide excellent filtration. The E-4962 and E-4961 are round air filters that have radial seals for a secure attachment within Donaldson airboxes. The E-4962 has an outside diameter of 5 inches (127mm) and a height of 12.375 inches (314mm). The E-4961 has an outside diameter of 4.125 (105mm) and a height of 10.75 inches (273mm). The two can also be used with secondary or safety filters. A secondary or safety filter is put in the airbox in order to protect the engine while servicing the primary filter. These K&N replacement industrial air filters will fit hundreds of applications, from small tractors to forklifts. If you know the OEM (original equipment manufacturer) filter part number enter it into our cross reference search to find K&N replacement part. Find K&N products for your vehicle using the K&N application search. Use the K&N dealer search to find a K&N dealer near you.